The Mobile-Tensaw River Delta is one of the largest intact wetland ecosystems in America. This maze of rivers, bayous, creeks, streams, lakes, and wetlands is home to an abundance of plant and animal life. The oak dominated hardwood forest, laden with Spanish moss, and intermingled with pines and an undergrowth of shrubs, herbs, and beautiful flowers plays host to 126 species of fish, 40 species of mammals, 69 species of reptiles, 30 species of amphibians, 500 species of plants and more than 300 species of birds. Now that&apos;s a lot of life. When it comes to plant life, this climate offers year-round gorgeous buds and blooms including azaleas (spring), camellias (winter), an array of tropical plants (summer), and chrysanthemums (fall). 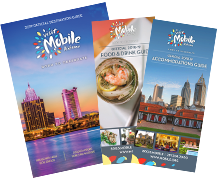 Mobile is referred to as the Azalea City, and was home to the historic Azalea Trail. There is a popular annual race, The Azalea Trail Run, -http://www.pcpacers.org/atr - that zig zags through the city during the peak of the azalea bloom. Bellingrath Gardens and Home is responsible for Mobile&apos;s reputation as an azalea mecca, and some of the country&apos;s largest and most incredible blooms can be enjoyed there each spring. Equally stunning is Bellingrath&apos;s display of outdoor cascading mums - the largest in the United States. Each November, the horticultural staff works tirelessly to present blankets of color which flow from the windows of the Bellingrath Museum Home, across the handrails of bridges, and through every nook and cranny of the 65 acre public garden.